New Hampshire residential solar energy incentives | Solar Panels | Solar Power | Site Map | Bookmark This Site! -Renewable energy systems are allowed a property tax exemption of the assessed value of the system in the state of New Hampshire. -Qualifying renewable systems include solar energy, wind energy and wood-fired central heating systems. 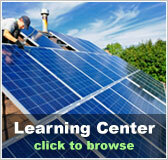 -This New Hampshire rebate program is for residents who install a solar photovoltaic system or a wind energy system. - The rebate for photovoltaics is equal to $3 per watt of generation capacity up to 50% of the system costs or $6,000, which ever is less. -The system must be under 5kW to be eligible. -All residents who install a solar thermal system such as, solar water heating or solar space heating are eligible to participate in this utility rebate program funded by National Grid. -Eligible customers of National Grid may apply for a rebate of 15% off all costs of the solar thermal system up to $1,500. -Participants must share their data of water heating usage for 12 consecutive months in order to receive the rebate. -Residential customers of New Hampshire Electric who install renewable systems such as photovoltaics, wind energy or solar water heat are eligible to receive financial incentives in the form of a rebate. 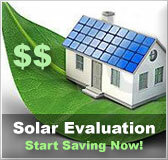 -Customers who install solar photovoltaics receive a rebate of $3.00 per installed watt up to $3,500. 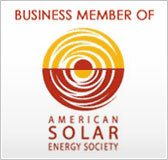 -Customers who install a solar water heating system receive a rebate of 25% of the system cost up to $1,500. 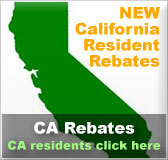 -Customers who install a wind energy system receive a rebate of 25% of the system cost up to $3,500. -Projects must be pre approved to receive a rebate. -The state of New Hampshire requires all electric utilities to offer homeowners and businesses who have renewable energy systems that generate electricity the option of net metering. -The financial incentive given by the utility is 1% of the annual peak energy demand. -The incentive is given as a credit on each month’s bill.